Frank Underwood is a downright dirty scoundrel, but the man sure knows how to get the job done. The crooked politician portrayed by Kevin Spacey in the Netflix series House of Cards is cunning, conniving, and calculated in his political endeavors. You can definitely learn a thing or two about leadership and life from this insane politician. 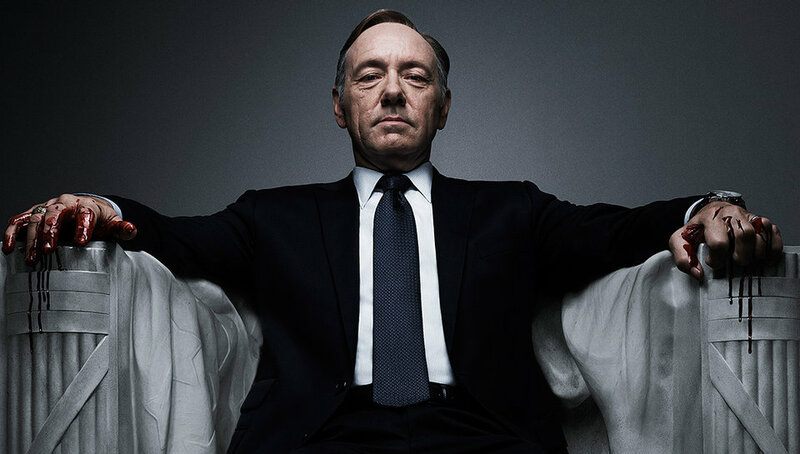 I just finished binge watching the third season of House of Cards and here are some of my favorite entrepreneurial lessons from Mr. Underwood. Most startup success stories are not overnight. They take time to develop, with many small and gradual movements. It is impossible to do the whole plan at once. You must build a business one step at a time, one action at a time. You will never succeed in life by sitting around and waiting for things to happen for you. If you don’t like the way something is going, work hard and change it. Choose to shape your company’s own path and future. Don’t let competitors or inaction decide that path for you. Of all the valuable life skills a person can develop, the ability to make wise decisions ranks at the very top. Don’t commit to a decision without first giving thoughtful consideration to every conceivable outcome. Once you learn to evaluate your decisions based on consequences, all the other considerations fall neatly into place. There will be times when you feel like you’re trapped inside of a giant pinball machine. And you’re the ball. Problems are opportunities in disguise. You only learn how strong you are when being strong is the only choice you have. How you react in times of great stress shows you your greatest potential. Don’t over promise and under deliver. To grow your business, you have to be the kind of business that stands behinds its promise. Don’t promise the moon if you can’t give it to them – promise realistic targets and deliverables and stick to them. In order to deliver exceptional service, we have to go above and beyond what we promise and what our customers are expecting. When we think of successful entrepreneurs, we think of individuals — Mark Zuckerberg, Bill Gates, and Steve Jobs. But startup success is truly a team effort. Choose your team wisely. Startups need people with a strong work ethic, ambition, and the ability to perform under pressure. Connections are always helpful in business, even more so when you’re building a startup. It is a source of knowledge, job opportunities, potential business partnerships, future hires, and so much more. Your network can make or break your startup, so it should merit the same care and attention you give to managing the other areas of your startup. There are times when you need to be immune to the things around you in order to survive. Be a rock, not a sponge. Don’t agonize over negative feedback. Criticisms can be discouraging. But you have to remember that it’s part of the learning process. Take into account your emotions, but don’t let them cloud your judgment. As an entrepreneur, you need to always be on your toes – especially during the high and low points. You don’t want to make costly errors, when you are on an emotional roller coaster. There will be times in your entrepreneurial journey when you find yourself deserted. This is exactly when you have to have faith in yourself and your goals. You must keep marching ahead without losing your resolve. What are your favorite Underwood quotes? Share them in the comment section.